This year is The Agile Organisation 10th anniversary. Agility as a concept and specifically agile working has become a “must do” across all sectors and many territories during the last decade. We have helped many clients with their agile journey over this period and we continue to do so….. The Agile Organisation is a specialist niche consultancy that focuses on people, work and place as a catalyst for culture change, business value and cost transformation through the development and introduction of agility across organisations. In essence we are agile working consultants. We bring together Property & FM, HR, ICT and Operations to help organisations develop holistic performance improvements through changing the way their people think, manage, work and operate. We work with public, private and third sector clients to understand their business needs, their issues and opportunities and develop agile work, people and place strategies, implementation plans and guidelines that align with and support key corporate objectives. We do this by gathering evidence through occupation, workstyle. workforce resource, culture and asset analysis, engaging with management and suppliers, assessing agile readiness, defining the purpose, glossary and vision, creating the communication plan, developing the strategy and framework the business case that highlights benefits risks and opportunities, planning and developing the journey programme for implementation of the workstyle, agile working, workplace and change initiatives as well as reviewing and benchmarking for successful outcomes. The Agile Organisation consultant team is drawn from our “agile consortia” network of independent Workplace and Change Consultant practitioners. Our team have experience of working within major consultancies, client side departments and transformation teams. We have a proven track record in evaluating, defining and reshaping work, place and people performance as well as considerable change management expertise. The team is drawn from senior practitioners in Workplace, Property, Psychology, HR, IT and programme management specialisms which enable us to focus on your organisations specific individual requirements. Our consultants are experts in their field and pssionate about what they do. They regularly undertake research, development and implementation of workplace, behaviour and culture change with specific emphasis on agile working. Paul is Founder and Principal Consultant. A Member of the Workplace Change Organisation he has wide-ranging workplace knowledge, experience and successful track record gained in both corporate workplace departments and management consultancy. He previously headed the BT Agile Working Programme, developed and managed implementation of the BT 21st Century Office and Workplace Strategy and was responsible for delivering award-winning BT Workstyle 2000 Programme in UK Provinces. Over the last 10 years he has worked as consultant to a diverse range of public and private sector organisations developing and implementing workplace strategy, change and agile ways of working. We have wide experience in workplace change, working with private and public sector clients directly, and also indirectly with major consultancies and delivery organisations such as Capita and Cushman & Wakefield. Recent engagements have included workplace change and agile working activity for London Stock Exchange Group, Osborne Clarke – International Legal Practice, Gartner Inc, BNP Paribas Investment Bank, Thames Water, The Open University, Place Partnership, Acivico, Ladbrokes plc, Chime Communications and Arcadis NV. In the public sector our clients include North Yorkshire Police, Stoke City Council, Birmingham City Council, Coventry City Council, Walsall Metropolitan Borough Council, Coventry & Warwickshire NHS Partnership Trust and Coventry NHS. We have also been appointed agile working adviser to Interflora, Crohn’s & Colitis UK, Lloyds Banking Group and Kirklees Neighbourhood Housing as well as workplace framework consultants for Severn Trent Water. As experts in our field, we also carry out research, write articles, blog and deliver seminars and workshops on “agile working”, “workstyle”, property strategy, office occupation and workplace change. This includes a diverse range of Enterprises in Public and Third Sector, such as the Employers Network for Equality & Inclusion (enei), the Records Management Society, South West Councils and West Midland Employers. Our aim is to help clients define their service requirements and through our agile approach we can support and provide services to mould around Client specific requirements. We can support Clients who occasionally need independent advice or activity from simple to complex to support or supplement their own in-house delivery team who perhaps are also looking for knowledge transfer. Alternatively we can fully manage elements of the agile working journey or specific work packages or projects through to complete programme management. Need support in setting up an agile working “pilot” project ? Need to “workstyle profile” your organisation ? Need help developing business cases or workplace strategy ? Need to create workplace and agile working policy and standards or guideline documents ? Need help with engagement and communicating the agile working journey ? 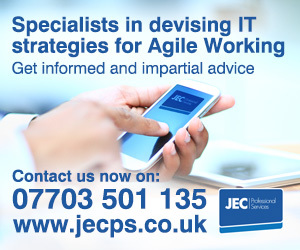 Need support planning and delivering agile working or workplace change projects ? Need help moving to or sustaining an agile working culture ? Need specialist temporary resource ? Want to discuss collaboration or research ? Then Contact Paul Allsopp to discuss how we can help.